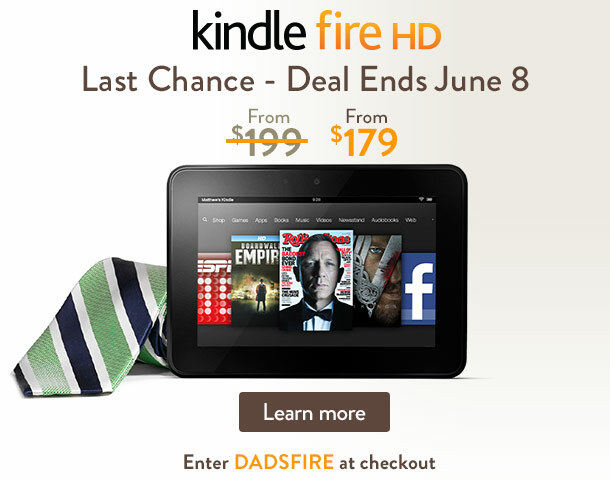 Score a deal on an awesome Father's Day gift! Take $20 off the Kindle Fire HD with code DADSFIRE at checkout. Shipping will be free (choose Free Super Saver shipping). Find this deal through Amazon here! Offer extended through June 15th!